Last month I had posted about rooting some herbs in water. The Southernwood is now in its own pot and growing very nicely. Thus, today I'd like to honor this little plant by writing something about its place in Deitsch folklore. Southernwood (Deitsch: Alder Mann or Aldermannschtock; tax: Artemisia abrotanum) has several traditional uses. Among them is as a tea for the treatment of overall debility or weakness (Deitsch: Schweche (Lick & Brendle 38-39)). According to an old "superstition" of the Deitsch (Fogel 173 #1428), "Epper as mit Gramp behafft iss, soll maryets uffschteh, nix schwetze, un nausgeh un en Aldermannschtock blanze." The translation: One who is beset by cramps should get up in the morning, say nothing, and go and bland southernwood." Sauer (Weaver 299) states that Southernwood has the capacity "to dissolve remarkably, to oppose all poison and corruption, to heal the poison bites of scorpions (Skorpionbiss) and spiders (Schpellebiss), to kill worms, and to open blockages of the liver (die Lewwer), spleen (die Milz), and matrix (die Zelle)." Typically, it is the aerial parts that are used, but Sauer (Weaver 299) states that the pulverized root when occasionally drunk in half a quint of white wine will kill all types of stomach worms (Warem; Mitesser). Regarding the term Mitesser, Brendle and Unger (179) state that they were (and still are to some degree) regarded as devouring elves (Elben or Elwe) or goblins, or they were considered to be bewitched worms, small worms, or maggots. There is also a belief that the Mitesser is (or causes) sebaceous material in the pores of the skin or the material within black-head pimples. Currently, the term refers more specifically to the intestinal tapeworm, which also carries some of the same lore regarding the appearance of pimples or poor skin. Sauer also recommends a quint of white wine infused with Southernwood leaves and a little saltpeter to aid in kidney stones (Niereschtee). Sauer (Weaver 300) also says that the distilled water of Southernwood will help to "heal sores in the privates" if a cloth is dipped into it and laid upon the hurt. If distilled Southernwood water is combed with some grated nutmeg, it will "get rid of the cold evil (strangury; Deitsch: Niereweh) and promote a forceful piss." 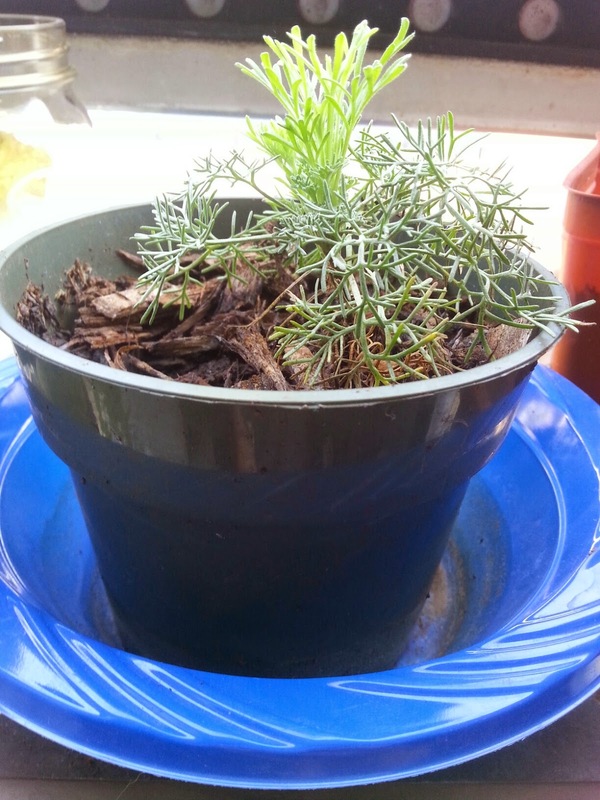 Another use for Southernwood is as an insect and vermin repellent. Lick and Brendle (38) state that the leaves strewn in the cupboard will repel ants. Sauer (Weaver 300) states that planting Southernwood will keep away snakes. Where snakes currently are found, the dried leaves of Southernwood can be laid on hot coals to make a fumigant. There is some association in Hexerei between Wudan and Southernwood. This association may be a reflection of the plant's Deitsch name (Alder Mann = Old Man), or it could be the other way around. Another possibility is that the link was created to Wudan because of Mugwort's (Adli Fraa = Old Woman) connection to Holle. In the Urglaawe context, Southernwood is masculine and carries qualities of the Air element. It makes an appropriate herb for honoring Wudan.